26 May 2006 in Rome and May 24, 2010 in Squillace (CZ) . 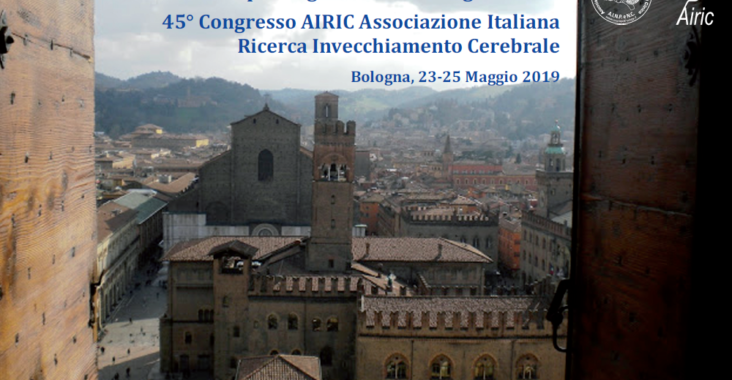 It consists of the Italian Association of Neuropathology and Clinical Neurobiology ( AINPeNC ) . The AINPeNC Association is a self- adhering to the Italian Neurological Society (SIN) . L ‘ AINPeNC is based at the residence of the President in office. The Association is a non -profit organization and is formed to promote the advancement of knowledge and practice of Neuropathology and Clinical Neurobiology . Knowledge of Neuropathology and Clinical Neurobiology is intended as a research and study of all aspects biopatologici and neuropathological diseases of the nervous system at the cellular , subcellular and molecular level. Practice of Neuropathology and Clinical Neurobiology is understood as use of exploration techniques diagnosing diseases of the nervous system according to their morphofunctional characteristics and the expression of specific cellular and biomolecular markers and as the teaching of methodological skills for the diagnostic procedure in Neuropathology and Neurobiology clinic . The Association organizes a scientific conference at least once a year and promotes other initiatives to achieve the statutory purposes . c ) any other income that will contribute to increase the social assets . exercise will be prepared by the Board of Directors the final budget and the budget for the following financial year. They may be members of the ‘ AINPeNC all those who, presented by at least two partners have shown their interest in science consistent with the purposes of the Association. The application for admission must be countersigned by two members and addressed to the President dell’AINPeNC . It must be accompanied by a curriculum . Admission approved by the Board of Directors. Those admitted are required to pay the annual fee in the amount established and updated if necessary a year to the other by the shareholders . Currently, the membership fee is € 75 (50 for members under 35 years old) . Neuropathologists emeritus members are those who have distinguished themselves in promoting the development of neuropathology in Italy. Emeritus members are chosen on the proposal of the Board of Directors . They are not required to pay a fee . The quality of member is lost by death, by voluntary resignation , unworthiness recognized by the Board of Directors by resolution ratified by the shareholders , and automatically for arrears in the payment of dues for three consecutive years. The Shareholders’ Meeting shall be convened by the chairperson usually at least once a year in conjunction with the administrative and scientific sessions planned . It shall elect the President, Secretary -Treasurer and the members of the Board of Directors. It processes and, on the concrete comparison with the scientific reality , teaching and care , the guidelines of the General ‘ AINPeNC . It also establishes the amount of the membership fee and the method of collection , approves the budget and activities . All resolutions of the shareholders enter into force upon approval. The convening of both ordinary and extraordinary must be made in writing by letter containing the relevant Order of the Day and sent at the address stated the member at least thirty days before the date fixed , as attested by the postmark . The Assembly is valid if it is present in the first half of the members convened on second call – which can also be done on the same day – if at least one quarter of the members . Resolutions are adopted by a simple majority . The Assembly is the only body competent to amend the Articles of Association or to dissolve dell’AINPeNC acting by a two-thirds majority of members present. The Board of Directors is composed of the outgoing President , the President in office , President-elect , the President of SIN , the Secretary -Treasurer , and 5 directors elected by secret ballot by the Assembly. The Secretary -Treasurer shall hold office for three years and the directors remain in office for two years and may be re-elected only once consecutively in the same office. In case of vacancy , the charges will be held following the ranking non-elected . The Board of Directors to assist the Chairman in office for the full realization of the institutional dell’AINPeNC , on the basis of programs adopted by the Assembly , co-ordinating the implementation of scientific and cultural initiatives agreed . The Board of Directors shall have all powers of ordinary and extraordinary administration of the Association , with the exception of the financial statements . The Board of Directors may establish special committees for specific tasks. The Council shall be convened by the chairperson on his own initiative or at the request of four of its members or by one-fifth of the members. The sessions are valid if there is more than half of the total members . The Executive Council shall act by a simple majority of those present. In case of equality of votes, the proposal which has given a favorable opinion on President in office. elected by a year before taking the assignment and remains in office for two years. Serves on the Board of Directors as President-elect and the outgoing President as the year before and after the charge cover . The President in office dell’AINPeNC serves on the Board of Directors of the SIN . The Secretary -Treasurer , as well as treating the conduct of shareholders’ meetings and meetings of the Board of Directors, of which draw up the minutes , coordinates all appropriate initiatives to achieve the statutory purposes dell’AINPeNC . He also takes care of the General Register of members, controls the payment of dues and administers the assets of the Association . He adapts to the directives issued by the Board of Directors , and has , with power to sign , for normal business operations , including banking . The Secretary -Treasurer of the ‘ AINPeNC is part of the Participation and Coordination Committee provided for in the Statute of the SIN in order to coordinate the relationship between autonomous association members and SIN . He is elected by the Assembly, remains in office for 3 years and may be reelected only once consecutively. Any dispute of ‘ AINPeNC , between members and between them and the Association or its organs will be submitted to the exclusion of any other jurisdiction , the competence of three arbitrators to be appointed by the Assembly and they shall judge ex aequo et bono without formalities procedure, unless contradictory . Their decision will be final. All matters not provided for herein, reference is made to the laws in force.